For one dog living in the high-kill, San Bernardino City Shelter, CA, the struggle to find a home is all too real. 3 month old male Chi is a young adorable pup, who is often passed up for other dogs. It was hard to find him but once we realized how small he was we looked under the bed. He is so precious and scared and he needs help now. Please SHARE for his life, he's SO special and a FOSTER or ADOPTER would save him. Thanks! 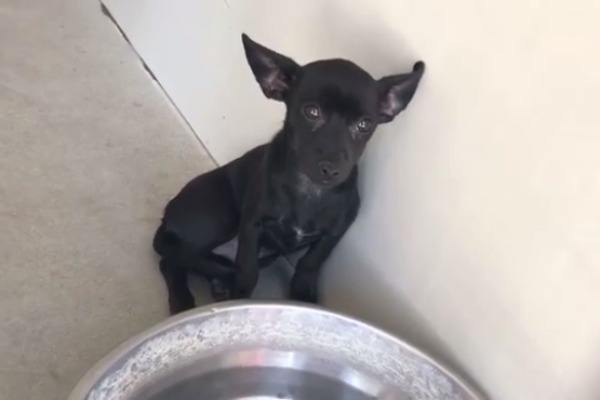 If you someone you know is interested in giving this precious pup the forever family he deserves, please contact the San Bernardino City Shelter, CA at (909) 384-1304 and reference the shelter ID #A503468. Additionally, please share this story on Facebook or Twitter, so we are closer to finding this precious pup the forever family he rightfully deserves.